Anyone who doubted Bob Dylan's status as a poet and a Nobel laureate would have done well to be at Wilton's Music Hall in London's East End last night. A remarkable project brought together on a bare stage three actors, with copious scripts in hand, to read the lyrics of Dylan without music. Not only was the point made that this was the work of one of the greatest poets to come out of the 20th century, but that the words (which it has long been argued only really work as songs) could have a compelling new life of their own in the voices of skilled reciters. Robert Sheehan read the one poem that Dylan himself had ever performed on stage without music, the verbal tour de force that is Last Thoughts on Woodie Guthrie (1963). It set the scene for an evening in which words were played with joyfully and stretched to the limits of meaning, power and emotion. Sheila Atim, who had stunned recently acting and singing in the Dylan musical play Girl From the North Country, duetted verbally with Sheehan to bring out the drama of dying relationships in Boots of Spanish Leather (1963) and Long and Wasted Years (2012). 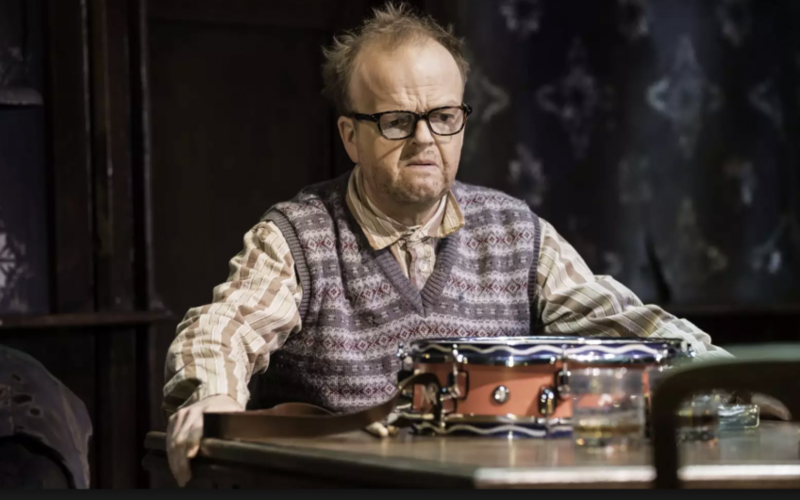 But it was the masterful Toby Jones who was the revelation, getting completely inside Dylan's words, from the youthful exuberance and Chaplinesque humour of Talking Bear Mountain Picnic Massacre Blues (1961) to the mystified and sometimes bitter regrets of Most of the Time (1989), Tangled Up In Blue (1975) and Brownsville Girl (1986). Best of all was his reading of the epic Highlands (1997), in which – even more than Dylan himself had done – he stunningly juxtaposed the lyrical optimism of its choruses with the verses' desperate visions of a man who faces the fading of the light and of his own life.